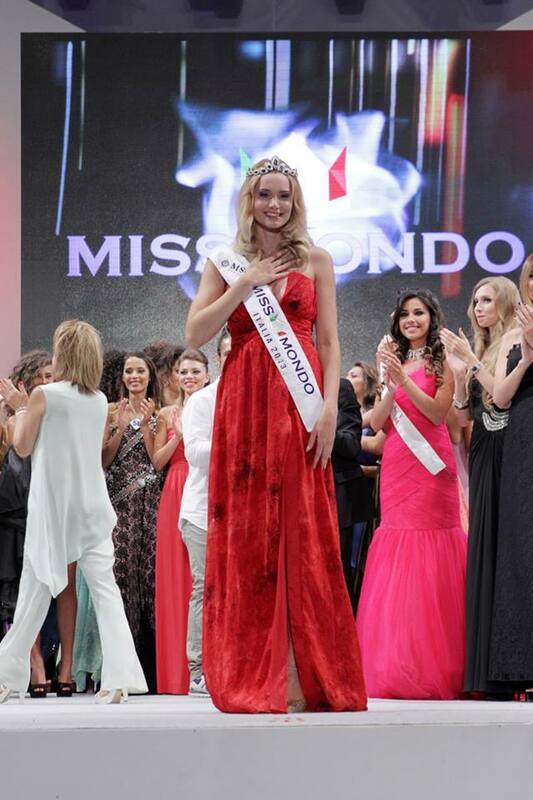 Sarah Baderna beat 49 other contestants last night to win the 2013 Miss Mondo Italia title. The new Miss World Italy is 22 years old and stands 1.77m tall. She will represent Italy at the Miss World Pageant this September in Indonesia. The first runner-up was Maria Giulia Marchiori and the second runner-up was Dalila Trovisi. Manuela Cancemi finished in fourth place and Erika Bufano finished in fifth place. I'm not sure if she's the Miss World type. The first runner-up is absolutely gorgeous. Wish she had rather won.